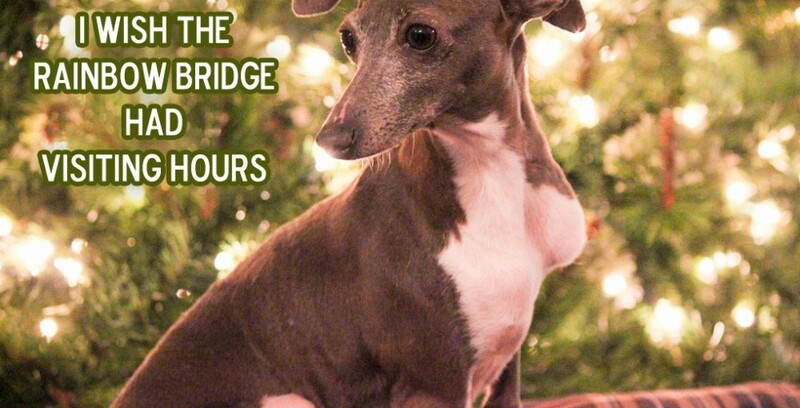 It’s true, Holly Berry and her son went to the Rainbow Bridge this past week, leaving behind her four healthy Italian greyhound puppies. 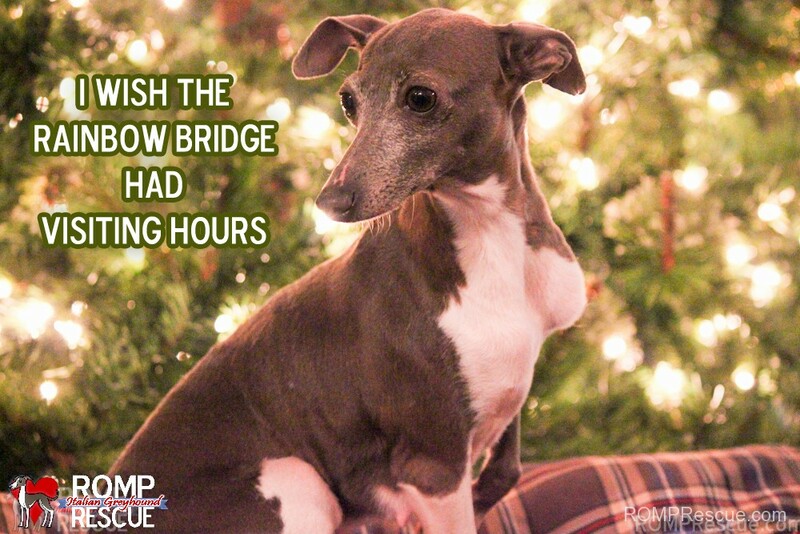 Holly Berry, an Italian Greyhound sweetheart, was rescued from a puppy mill on December 7, 2013. A few weeks after she was rescued, ROMP confirmed what they suspected, that she was pregnant! On January 11, 2014 between 10:30 pm and 11 pm, Holly welcomed 2 boys and 3 girls into the world via C-section. One of the boys was stillborn. Twelve hours later, on January 12, Holly joined her son at the Rainbow Bridge after succumbing to an aggressive infection of the reproductive system. Liz was fostering her and saw her through her pregnancy and the visit to the emergency vet. She also saw her take her last breath and said it was peaceful. The doctors did all they could to revive her but her time with us had come to an end. It doesn’t seem fair that she never had the opportunity to raise her last litter in freedom nor only knew a month of the good life. It hurts our heart very deeply that the puppies she left behind will never know what a sweet, happy mother they had. She wagged her tail to the very end. Holly, we haven’t stopped sobbing for you but we do find comfort in the fact you are at last truly free. Run and tumble through those fields joyfully with your baby boy, sweetie! Heartfelt thanks to Dr. Johnson of Archer Veterinary Hospital for opening his office after hours to help Holly bring her babies into this world and to Dr. McManus and the staff of Midwest Animal Emergency Hospital for their efforts to keep Holly with us and their subsequent compassion at her loss. Keep in mind these pups were born a bit early so they need to be bottle fed every 2 hours for a few weeks thus the request for formula and bottle supplies. We are praying that Dixie, a pup we rescued back in November that was pregnant and has since finished nursing her pups, will take the iggies as her own and nurse them. If she does not, we will continue to bottle feed them. Please continue to say prayers as this is a very fragile time for the four igglets. Of the Italian greyhound puppies, the one boy will be named Archer after the vet that so graciously opened up just to bring Holly’s pups into the world. 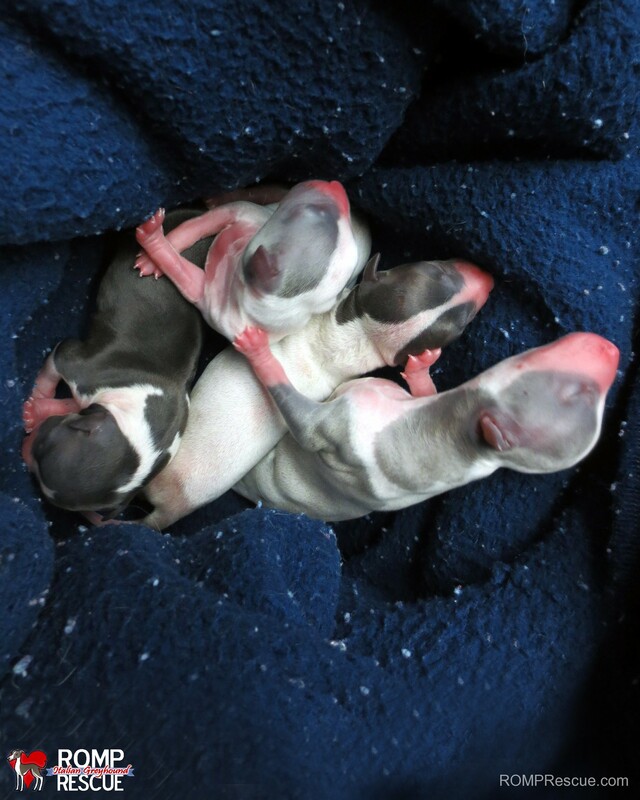 Stay tuned as we may have a naming rights fundraiser for the three Italian Greyhound puppies that are girls! Above is a view of Liz feeding the newborn Italian greyhound puppies during their second day here on earth. Aren’t they just the sweetest thing? 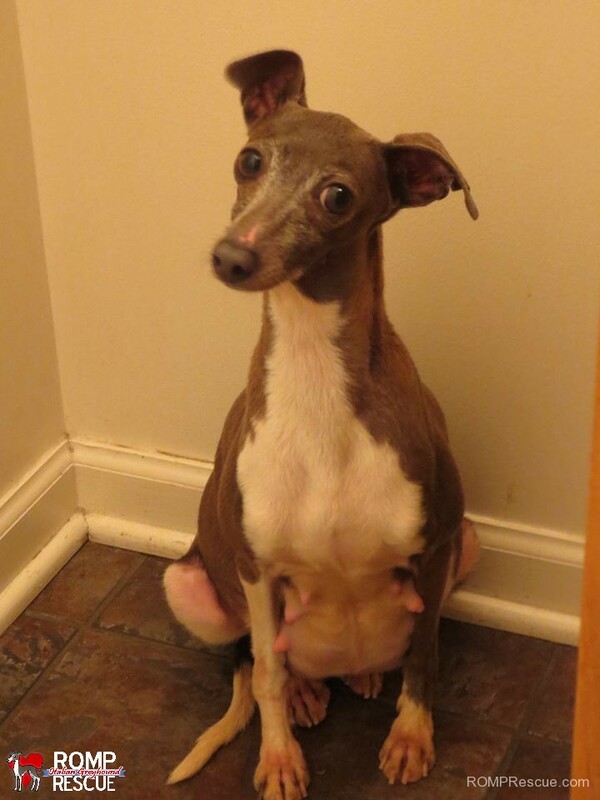 This entry was posted in ALL, In Memory Of, News and tagged baby, chicago, died, holly berry, illinois, italian greyhound, Italian Greyhound Puppies, lost, love, mama, mill rescue, mom, momma, orphaned, puppies, puppy mill, puppy mill rescue, rainbow bridge, romp. Bookmark the permalink.